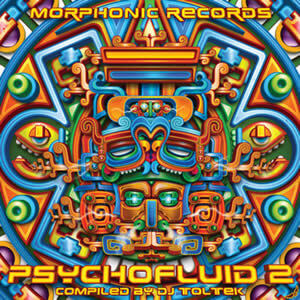 New Compilation from Morphonic Records ! DJ TOLTEK is back with a new Fullon Morning compilation « Psychofluid 2 ». Following the success of the first one, this compilation features a wide panel of morning sounds. From Israel with ITP’s dancefloor oriented track to the melodic trance of America with Lamat and Psypsiq Jicuri, range is wide! Rumble Pack tracks confirm their position the European Fullon Trance scene. Shagma and Life Extension deliver some of the best tunes available on the Fullon French scene. On this compilation, Ibojima features two collaboration tracks with Cyrus the Virus and Rumble Pack, bringing the Northern Europe flavor to the morning hours of all parties worldwide. Concluding this melodic world tour, Galactika delivers his classical powerful sound. Toltek has also added his solo project, Huicholity, to complete this « busy tracklist » ! 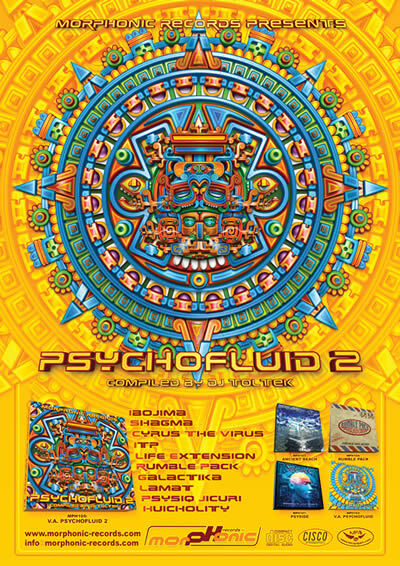 Psychofluid 2 is a new step forward for Morphonic records. Some bonus (tracks, video, pictures…) are available on the Morphonic rec website with a special access code written inside the CD leaflet. Distribution : Cisco International Corp. 感情を揺さぶるモーニング・フルオンのスペシャル・アイテム!! フレンチ・サイケの雄PSYSIDEの中心人物DJ TOLTEKが主宰するMORPHONICレコードから、前作も好評で即完売となった”Psychofluid”シリーズの第2弾がドロップ!! 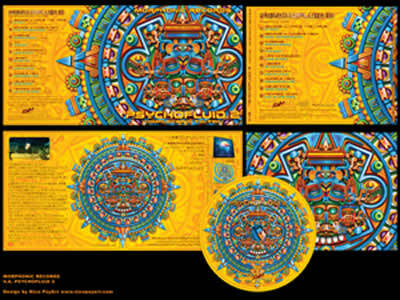 前作に引き続きDJ TOLTEK自らが、このコンピの為に書き下ろされたエクスクルーシヴ音源だけをコンパイルしたモーニング好きにはたまらない内容に仕上がっています。DJ TOLTEKのプロジェクトHUICHOLITY、レーベルの看板RUMBLE PACK、メキシコのモーニング・キラーLAMAT、AVIGMATIC REC.でお馴染みのフランスの注目株LIFE EXTENSION、イスラエルの新鋭ITP、TALAMASCAの秘蔵っ子SHAGMA等々、モーニング・サウンドを代表する精鋭揃い。全体的にとにかく綺麗。感動的ともいえる爽快且つエモーショナルなメロディー＆壮大なストーリー展開でもの凄く気持ちよく踊れる曲ばっかり!! 総天然色のサウンド・スケープにグッときます。ここ最近では群を抜く一枚! !